Saunatimes guest post series continues. We had the pleasure visiting on the dock the other morning with new cabin owners from “down the bay.” Husband and wife airline pilots and two preteen daughters. With a long list of things that excite them about cabin ownership, the biggest smile is talking about their sauna. After using an electric sauna for the past sixteen years, I recently purchased a cabin with a wood burning sauna. I hesitantly lit her up and am now a true believer of the “wood”. I’m “stoked” about this new chapter of my life of saunas. 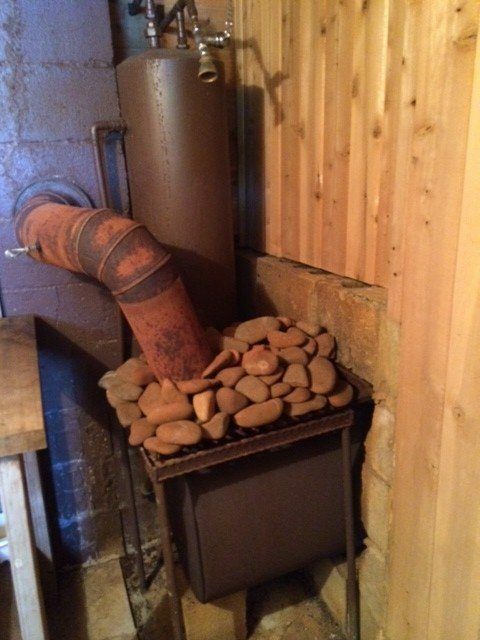 I know that when I light up the sauna, my work for the day is nearing the complete stage. 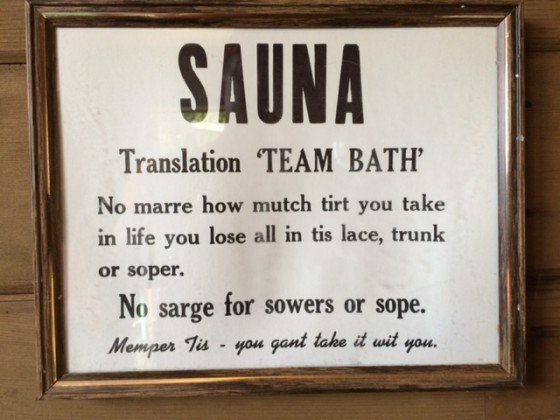 As I take my sauna, I relish the pore opening, dirt washing clean feeling I get when I jump in the lake. After taking sauna only one thing remains for activity of the day – cocktail hour. Amen.